Graveside services will be held Thursday, April 18th at 11:00 a.m. in Omega Cemetery with Rev. Allen Mullis officiating. 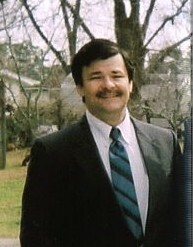 The family will receive friends on Wednesday, April 17th from 6:00 to 8:00 p.m. at Albritton Funeral Directors. Mr. Nunnery was born May 31, 1961 to Judith Lutes Nunnery of Sumner and the late Cecil Nunnery who died in 2007. In addition to his father, he was preceded in death by his brother, Christopher Scott Nunnery who died 8-13-2018. He was a self-employed truck driver. He had lived in Sumner for the past twenty years. Mr. Nunnery loved his family. He enjoyed working on cars, trucks and traveling cross country. In addition to his Mother, he is survived by his sister and brother-in-law, Regina and Andy Hornbuckle of Omega; his brother, Bobby Nunnery of Crossville, Tennessee; his maternal grandfather, Donald Lutes of Omega.